The Scene: Work. Early winter, mid-day. Left hand cramped from signing ~300 fundraising appeal letters. 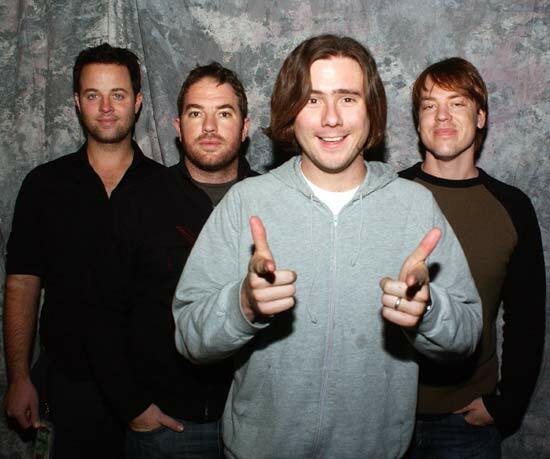 Jimmy Eat World on Spotify. “What’s an appeal letter” you say? Well, it’s a donation request for some program, event or cause. I’m sure, like me, you get dozens of them in the mail from various nonprofits throughout the year. And, like me, I’m sure most of those envelopes get flipped upside down to the blank side and used as scrap paper for your grocery list. At my organization, we hand-sign all these letters — and usually add some type of little sentiment — rather than printing a digital signature. It’s a bit of work, though evidence shows personalization like this goes a long way. So that winter afternoon, I sat there, signing this mound of letters, and I thought to myself: there must be an easier way. I’m technically a millennial, so ideas like that creep into my brain once in a while. Work smart not hard, right? Don’t get me wrong: when possible, it’s great to have steps in place that make things run, and run easily. We don’t need to always reinvent the wheel, and a system can be a good thing. However, in nonprofits, the philosophy of why we do what we do can easily get lost in this idea of infinite streamlining. Mechanisms for things like mail merges, donation processing, e-mail newsletter sign-ups… all great. Fast-tracking meaningful engagement with our stakeholders, however, not great. Back to the letters… The Jimmy Eat World song ringing through my speakers at that moment reminded me that, sometimes, the one way of getting out is through. You could spend hours devising shortcuts for your work, though sometimes getting it done just takes time. Like when I have a list of donors with whom I want to connect; copying/pasting the same email (ctrl+c – ctrl+v – send) is a real easy way to plow through the task, but how great it is to slow down, pick up the phone and actually do a meaningful thing. Anyway, I did eventually get through signing all those letters, and I thanked myself for all that hard work with an extra-large bag of peanut M&Ms. Not the smartest thing to do.